With winter bearing down hard, it’s easy to cope with the low temperatures by imagining yourself in Zac Brown Band’s “Knee Deep” song, your only worry in the world being if the tide reaches your chair. A sea breeze, a cool drink and you are in paradise. Fortunately, spring break is just around the corner, which means planning for your getaway should start sooner rather than later. For most college students, finding the right trip means not breaking the bank, so starting early is key in order to find the best deals for your budget. Besides taking on a few more hours at your campus job, start by talking to your friends about what kind of trip they’d want to take. Near or far? Beach or otherwise? You also all need to have a candid conversation about money, and how much you are willing to spend and not spend. The trip you plan should try to accommodate as much as possible without going overboard, but be prepared to spend a little more than you’d like for erroneous expenses you might have forgotten about. 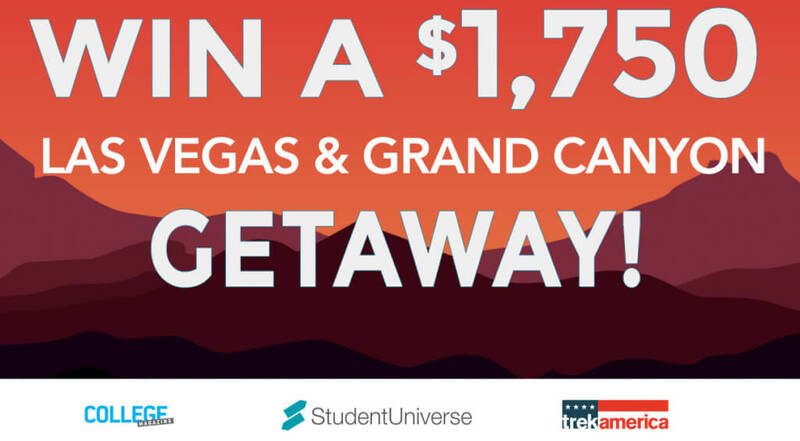 Similarly, websites such as studentuniverse.com and travelcuts.com offer student-geared pricing on airfare, hotels and transportation. Some of the most popular spring break destinations such as Florida and Texas are often booked quickly and overpriced, so the earlier you start the better! If you’d rather give back during your week off of school, start by contacting campus groups involved in social service; many of them plan trips that are not too far and are covered by the University for a full-immersion experience during your week. Meaningfultravel.com also helps make connections with others in your area that want to form groups and go on self-guided service projects, while also providing cheap travel options. These alternative spring breaks are becoming more and more popular, and besides looking great on a resume they give one an opportunity to use their spring break for gratitude instead of gluttony. Whatever plans are made for spring break, this time should be used as a respite from school to recharge, let loose and prepare yourself for the second half of the spring semester. Whether your destination is warm or cold, spring break is a week to look forward to, either as a distraction from winter or a preparation for spring.